You remember the ASUS Transformer Prime, don't you? 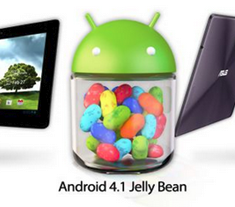 World's first Tegra 3 device? One of the first tablets to use Ice Cream Sandwich? A name somewhat reminiscent of a Hasbro toy? Back when ASUS was still calling every machine "Eee"? 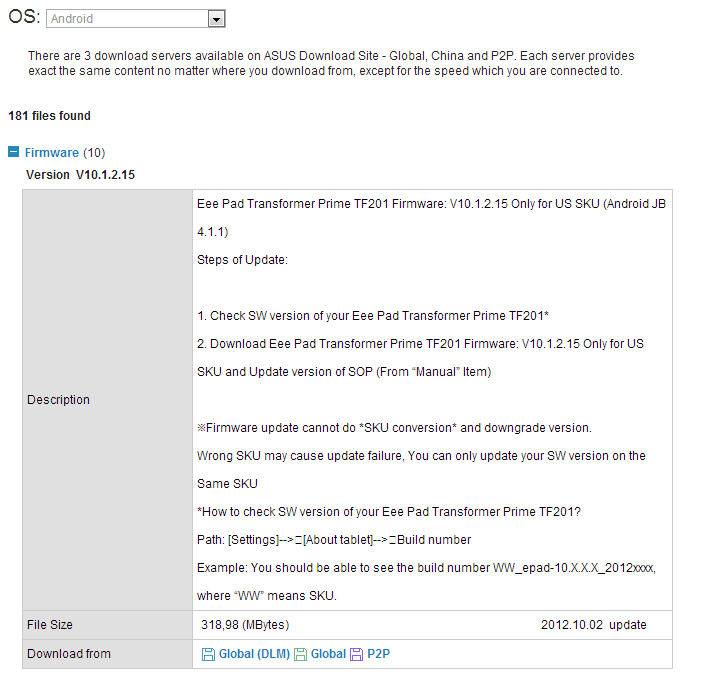 For some reason, it took the indefatigable CyanogenMod team several months to get CM 10.1 (Android 4.2) ready for the metal-clad TF201, but nightly builds have finally started appearing on the download page. 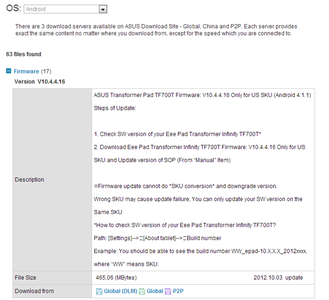 ASUS hasn't forgotten Transformer Prime owners - after rolling out Jelly Bean back in September, the company is pushing a small bug fixer over the air with version 10.4.2.17. The update actually began yesterday, but we waited a bit for the official changelog to come through - after all, what's the point of playing the guessing game if we can't add anything of value, right? As I mentioned, the changes are pretty specific and far from critical, but it's better to see them and know what ASUS didn't do than run all over TF201's dark corners looking for something that isn't there. Late last week, ASUS began pushing Jelly Bean to the Transformer Prime, and it followed up by doing the same for the Infinity this week. That's great for users running stock systems with locked bootloaders, but if you don't fall into that camp, then you get no OTA love from ASUS. 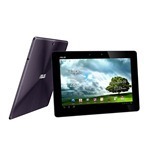 Now, though, they have made available the full stock ROMs for both tablets. 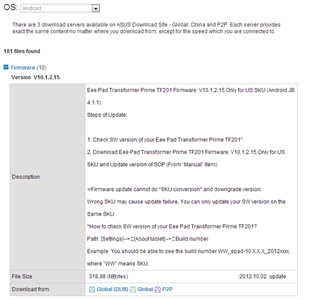 The ROMs, which are Android 4.1.1, can be flashed using any custom recovery - simply unzip the download and drop the contents onto your device's storage partition. I love how fast ASUS moves. When they say an update is coming, you can rest assured that it's coming soon. 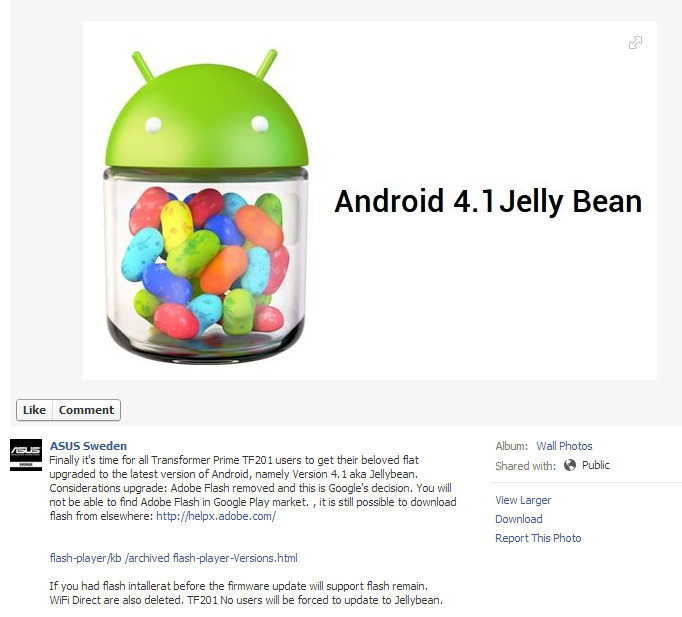 Just this morning they teased us a bit on Facebook, and ASUS rep Gary Key took to XDA to let users know that the Jelly Bean updates for the Prime and Infinity would be rolling out "within 72 hours." It's also noted that Press Reader, should you actually use it, will still be available in the Play Store. Update: ASUS rep Gary Key took to the XDA forums to give users a better timeline of when the updates should begin rolling out. 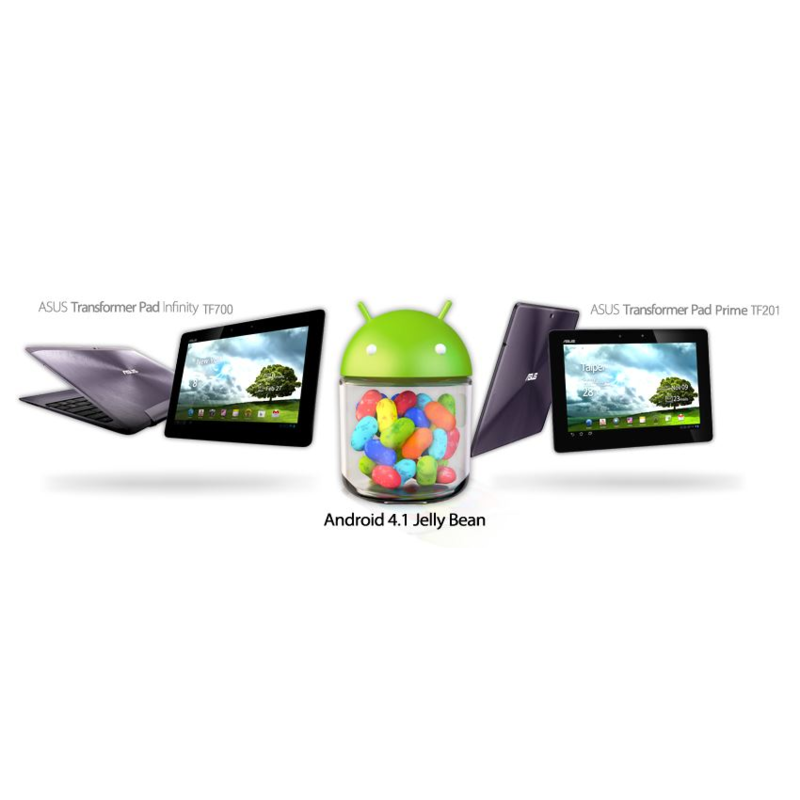 The once flagship device of ASUS' Transformer family, the Prime, is now getting its official taste of Jelly Bean in Sweden. 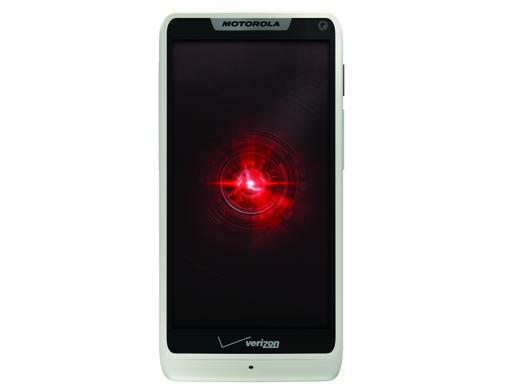 This marks the first Android 4.1 OTA to the Prime, coming more than a month after its more affordable cousin, the Transformer Pad 300, saw the update. ASUS notes on its Swedish Facebook page that this update will kill flash support in the Play Store, but it also lovingly provides a link to Adobe's site, where the player can still be downloaded. While most Android fans are clamoring to get their hands on a new Nexus 7, there are still those who prefer the size and feel of a 10" tablet. And for good reason: a 7" tablet is fantastic for reading, surfing the web, and even watching movies, but it's just lacking much-needed screen real estate when it comes to productivity. Speaking of productivity, who wants a free Transformer Prime with dock? 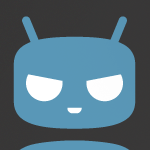 With the level of anticipation surrounding Jelly Bean and CyanogenMod 10, pretty much any news of a working build is good news. 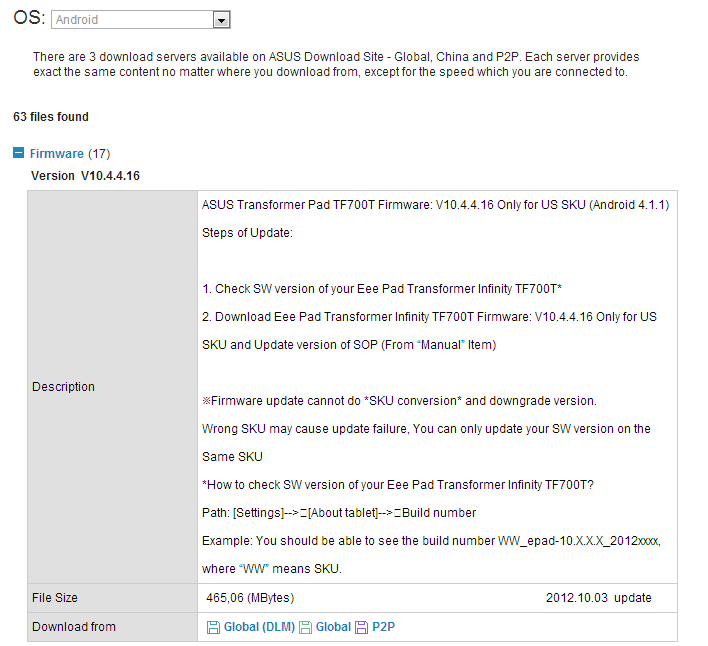 Today, test/preview builds of CM10 have surfaced for Motorola's Xoom as well as the ASUS Transformer and Transformer Prime (tf101 and 201). Of course, since these are preview builds, they aren't perfectly stable. It's also worth noting that unofficial builds carry no guarantee of support or update. That being said, the Transformer builds are surprisingly functional with Wi-Fi, Bluetooth, sound, camera, video acceleration, some dock functionality, and most sensors functional.